One of the hardest things for me to comes to terms with is that I need to understand and set my own limits. I always push myself to do the most that I possibly can in one week, and without fail, I always come up short. Something always comes up and I never have time to do the things I set out to do. Then it dawned on me…what if I set out to do less things and gave 100% to the things I do? I’ve never picked a word for the year. That always felt a little silly to me, and I never had felt a strong connection to any one word. I saw a lot of bloggers post their word for the year, and thought about what my word would be. 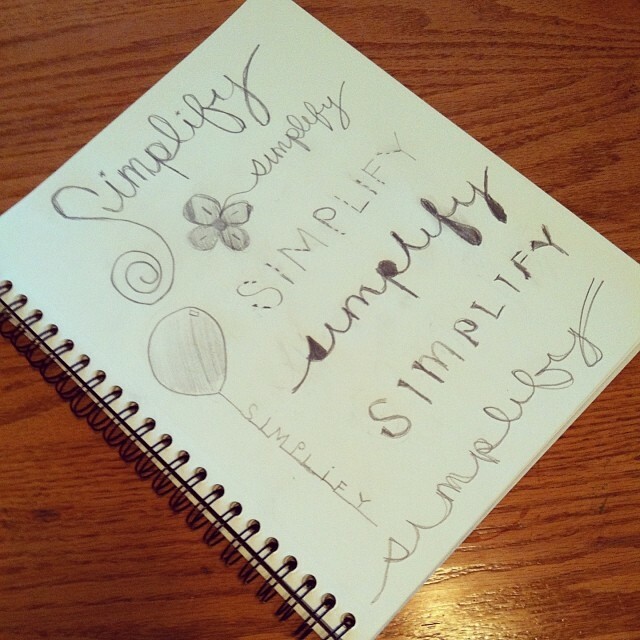 Then it hit me: simplify. Simplify my schedule, simplify my house, simplify my routine, simplify my life. This is a simple list of what I hope to achieve this week. I stuck to what was most important to me at the moment, and will build from there. Set up Heather as a partner on my blog – I made the difficult decision to put a hold on Baby Burrito Collective right now. As part of my attempt to simplify my life, I took a step back and realized that I was putting a lot of time and money into something and I wasn’t getting what I wanted out of it. I had one member and she stuck with me through all the changes. 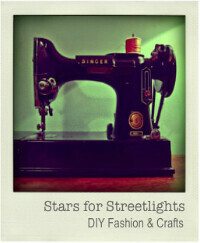 I still want to help her promote her work, so Heather is now going to be my very first partner on my blog! There will be more about her later, but I need to get her added first! Finish my cork board – It’s so close to being done! I just need to staple on the fabric, and attach the back! Can’t wait to hang that beauty up, and finally use it! Write on my blog daily – I have decided to not blog on the weekends, but I would like to post something once a day during the week. 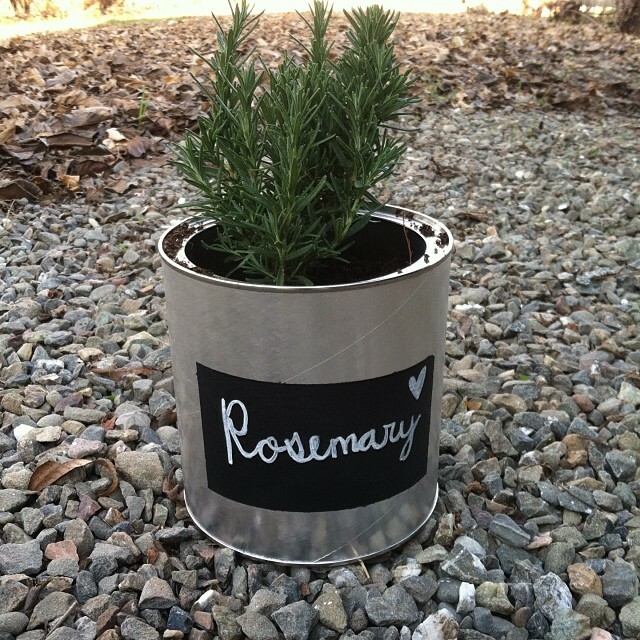 Start my coffee can planter project – I have been given the wonderful opportunity to contribute to Childhood Magazine in Sacramento, and this is the project I am writing about! I just need to get a few supplies and I hope to have it done by this weekend. 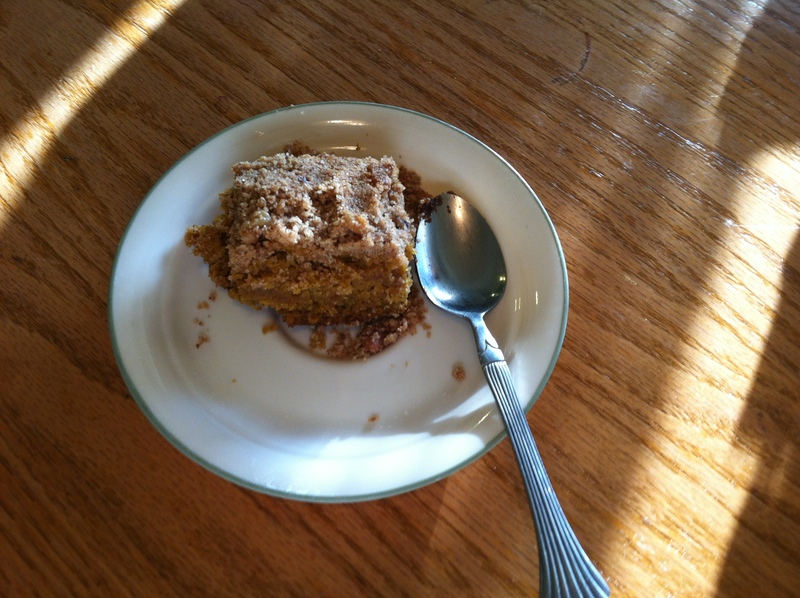 Make one recipe from scratch – I don’t really make boxed anything, but I do use store-bought pasta, bread and tortillas (for now), and I don’t see any chance of me making cheese in the near future. So when I say from scratch, I mean all the way. We need a healthy treat in the house so I’m thinking of making some cookies this week. Practice yoga once – Since I haven’t been able to get a yoga routine down, I’m challenging myself to at least get in one practice. If I do more, great. But I need to do it at least once. I can already feel my body tightening up a lot more, and my stress level getting higher. Update products on Sweet Mariposa – I just need to take more photos of what Kandyce made and list them individually. 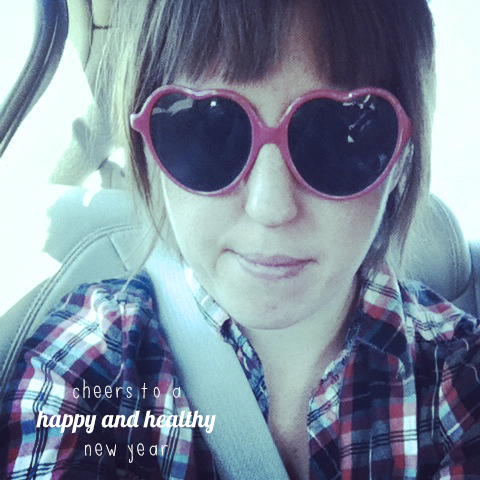 Last week, I shared my goals for the year, and pretty much the future. This time around, I’m scaling back down a little and just focusing on my weekly goals. While it’s good to have a broad idea of what you want to achieve, you still need to work on the small steps in order to get there. It’s been a few weeks since I wrote my Weekly Wishes, so I’m starting fresh. That’s what new years are for anyway, right? Blog: Write at least one post a day, e-mail people for possible profiles, post on social media daily // I’m starting to get my routine down. It’s easiest for me to write the post the night before and then edit and add the photos in the morning. It gives me a chance to think over the post and come back to it fresh in the morning. And I might poke into social media a little here and there during the day but it’s easiest for me to do it after the baby is asleep. Business: List Kandyce’s items and create our Facebook page // We have a lot of items listed in our Sweet Mariposa shop, but I haven’t done a whole lot of marketing for it, and Facebook/Twitter will help out a ton with that. Health: Start the yoga challenge with the lovely Erin Motz (I’ll be 5 days late, but what the heck) and keep all of our meals whole and clean // I think I can squeeze in a yoga practice in the morning before Cecilia wakes or save it for when she naps or goes down for the night. Depending on everyone’s schedule. I need to find at least 30 minutes in the day for some yoga love, though. Freelance: Write my Handmadeology article, and start my article for Childhood Magazine // Super excited to be writing for both and I can’t wait to see what comes from both opportunities! I absolutely love sharing my goals for the week, almost as much as I enjoy actually knocking them off my list! These are all achievable – which I think is key. If you want to join the Weekly Wishes link-up, visit The Nectar Collective and add your post there. You can also post on Facebook, Instagram, Twitter and Google + with the hashtag #weeklywishes. Find more inspiration on my Pinterest! Since my daughter has learned to walk, she has also learned to scoot her way off of anything she can scoot off – laps, our couch and sometimes even arms. So when she cried every time I put her down, I knew something was up. Turns out she was sick – and has been since last Wednesday. Therefore – my life has been full of cuddling, hugging, comforting, sleeping and doing homework, making gifts and cleaning when she naps. This little break from blogging and social media has been refreshing and has given me a good outlook on what I want my life to be. I tend to sign myself up for every creative project under the sun, only to feel beaten down and exhausted when I never seem to get the results I want from them. This has seriously effected my wishes for this week. Let’s just say that I did not get any of my wishes done last week. But I’m not going to worry about it. I had a little one who needed me more than anything else did. Now that she’s feeling better, it’s a whole new week. My business and fitness goals will clearly have to wait until after Christmas because making gifts at home is a whole lot more work than I thought. But it has pushed me to be creative every day, and I love it. Tuesday: Finish Addie and Elena’s gifts (painting – my absolute favorite!). Get them wrapped and ready to go! Wednesday: Finish my parents gifts (trying something new for my very first time. I’m excited to share my project after Christmas). Get those bad boys ready to go! Saturday: CANNING, CANNING and more CANNING! Finish the beanie. Sunday: Make sure everything is wrapped and all of my canning is done. Monday: Bake-a-thon (gingerbread cupcakes and a whole lot of cookies!) starts! This list helps me put the week into perspective and by splitting up my projects like this, I think I can actually do it! My posts from now until the end of the season will be more Holiday inspired, since obviously that’s all on that’s on my mind right now. Once all this is done, I will have a little more than a month off of school and I’m planning on working on my creative business ventures and really getting things done so I will not feel so overwhelmed when school starts. Less creative projects, more focus on the ones I already have. 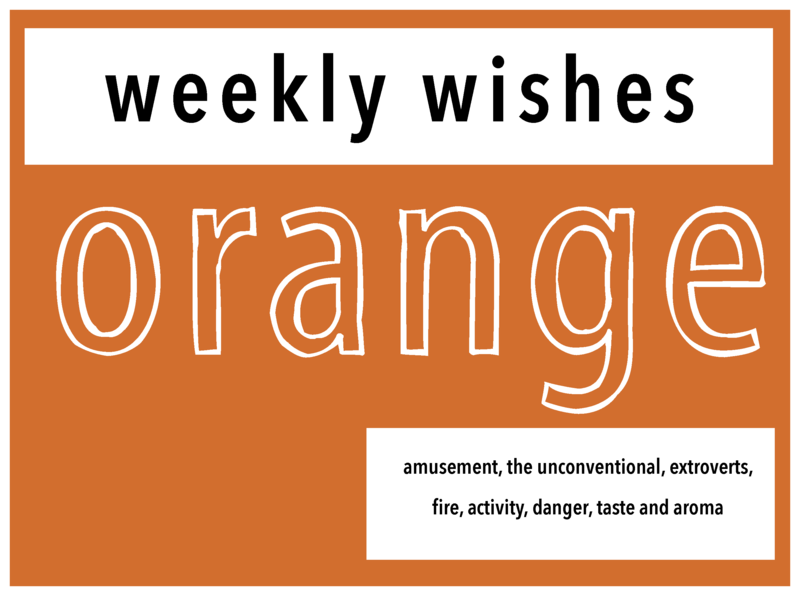 So, what are your weekly wishes? Write about them and link up to the Nectar Collective. You can also share them in the comments and connect with me on Facebook, Twitter, Instagram and Pinterest. Here’s to hoping all of your holiday goals and wishes will be rewarded! Right now, my workspace is full of remnants from my daughter’s first birthday, the semester coming to an end and Christmas right around the corner. I have projects upon projects that I need to finish and while I love working around a little chaos in my life, I feel like the chaos is kind of taking over. This is after I cleaned. So, in the midst of all the chaos, I have taken out some time to think about what I want to accomplish for the week. While it’s difficult at times to take a moment out to write a thought-provoking post like this, it saves me in the end because it gives me a chance to sort everything out. Here’s what I wanted to do last week: Create a directory on Baby Burrito Collective, list Kandyce’s work on Etsy, finish cork/chalkboard, get my yoga routine down and focus on clean eating, turn my workspace into a Christmas wrapping station. How I did: Well, I haven’t created the directory yet. Still looking up some good resources on how to do something like that. I did list Kandyce’s work on our Etsy site though! You can find Sweet Mariposa here. 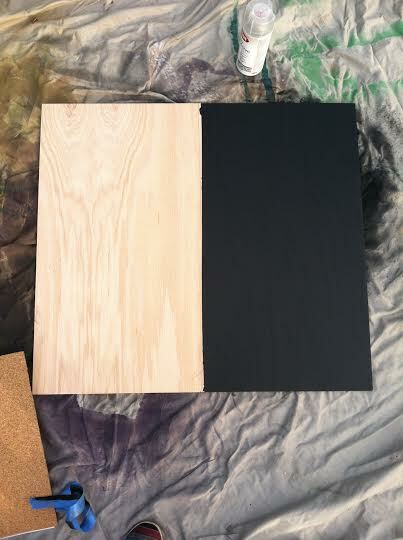 I just bought the fabric to cover the cork on my cork/chalkboard so hopefully it will be done this week. 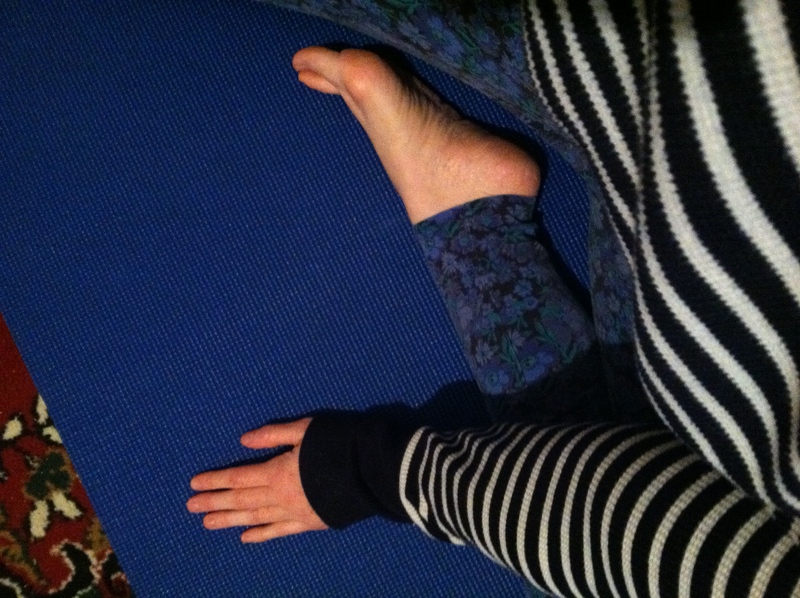 I did do yoga one day last week…but only one. And my workspace is definitely a Christmas wrapping station, along with everything else. Business: Find a resource for adding a directory for Baby Burrito Collective. Start spreading the word about the Collective and getting people to join. 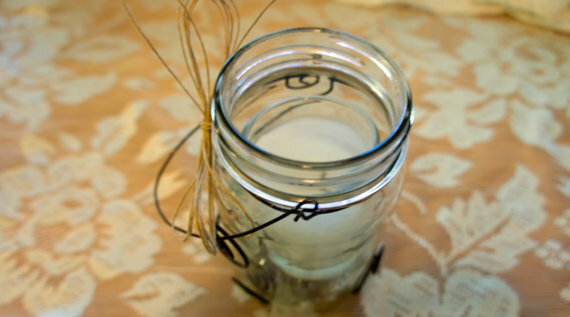 Continue listing on Sweet Mariposa and set up a Facebook. Look for spaces to contribute my writing. Make a detailed plan for Vox. 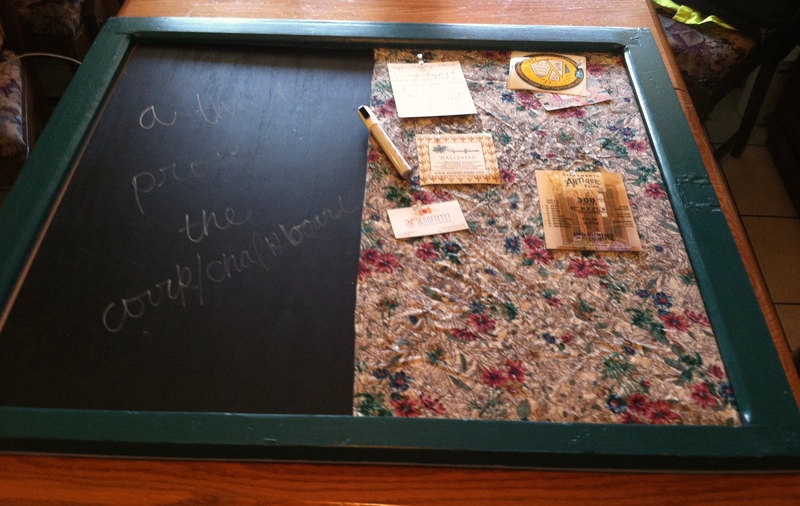 Creative: Add the fabric to my cork/chalkboard and finish it up. Finish my mom’s Christmas gift. Fitness: Set a yoga goal – practice at least once a day when Cecilia takes her first bottle in her crib. Set a clean eating goal – at least one real meal per day. And a complete real meal. Home: Compress all of my crafting stuff. Get a metal shelving rack to go in the closet to sort out my projects and what is ready to sell/give as gifts. One shelf for projects to be completed. One shelf for what is ready to sell/gift. And the final shelf for material/supplies. This is going to be my Christmas gift to myself, I think. It would be easy to take down and move when we move. 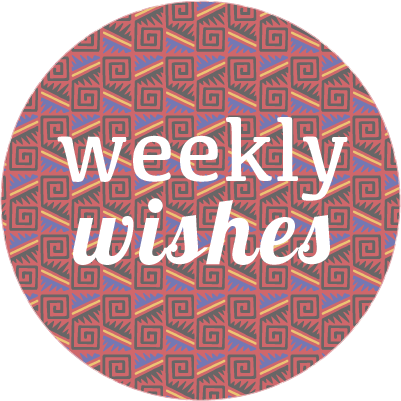 I know this is a day late, but what are your weekly wishes? Write about them and link up to the Nectar Collective. You can also share them in the comments and connect with me on Facebook, Twitter, Instagram and Pinterest. Here’s to having another lovely and productive week! 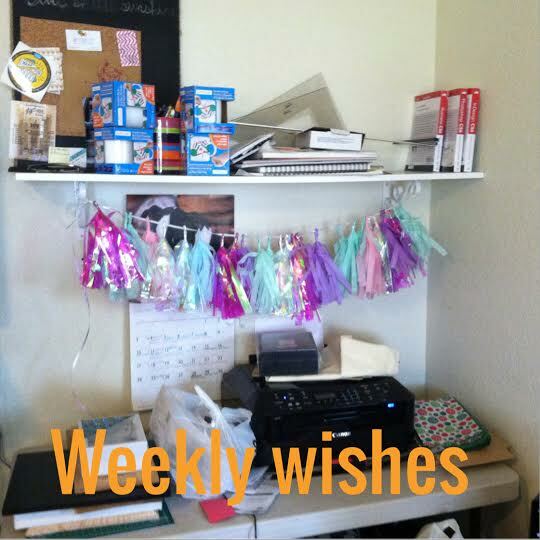 Last week, I decided to skip the Weekly Wishes post because it felt too rushed and I was out running errands with my friend to prepare for Thanksgiving and get some Christmas shopping done. I’ve decided to make most of the presents that I can, and to shop early for what I need to get from the store. That way, I can spend time personalizing the wrapping if I wasn’t able to make the gifts by hand. 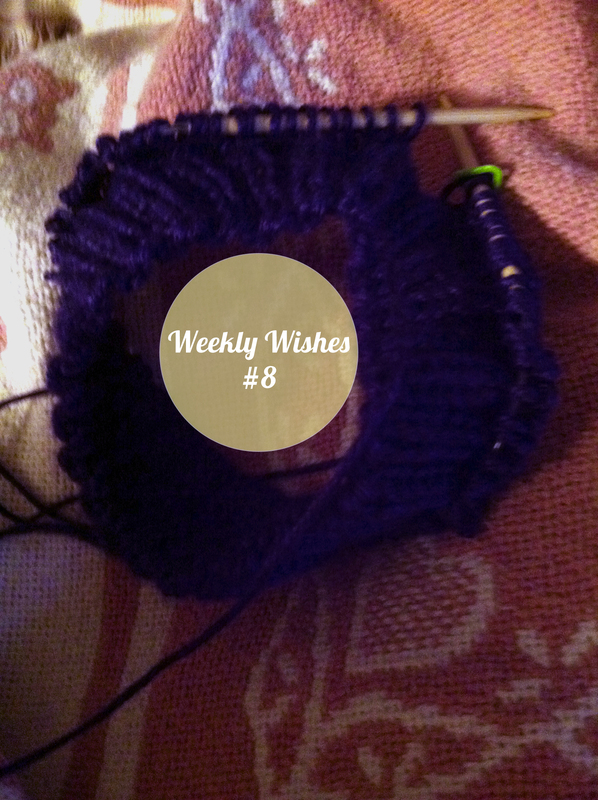 I’ve returned to Weekly Wishes this week as it really helps me organize my thoughts before I start the week, and it motivates me to get started on what I want done. It’s also a really amazing feeling to look back at the past week(s) and see what I got accomplished…or what I really need to focus on this week. I actually changed the way I was working on my business idea, taking them week by week and day by day, focusing on the tasks and giving them more attention. In turn, I am a lot more satisfied with the result. Here’s what I wanted to accomplish two weeks ago: Work on flyer for Baby Burrito website, start chalk/cork board, get yoga routine down, work on my garden, organize craft closet and designate a workspace. How I did: I finished the flyer for the website and it’s posted! I also updated the membership and services pages and added a testimonials page. I am so happy with the way my website works, that now I will only need to do a few tweaks here and there. I did start on the chalk/cork board and I am hoping to finish it this week. I didn’t get a yoga routine down and I sort of abandoned my garden this week, but I did get to the craft closet and workspace! Creative: Finish my cork/chalkboard. I painted the chalkboard side and cut out the corkboard and foam board to go behind it. Now, I need to attach that to the wood and then staple some fabric over the cork. After that, I’ll attach the wood to the barn window (which will act as my frame) and put the backing on it. I’m going to keep that right now to put in my workspace, but if it looks good, I might think of making more to sell! Fitness: Get my yoga routine down, focus on clean/healthy eating. I know the holidays will be tough to stay on track, but I need to focus on eating right and working out when I can. I just need to keep reminding myself how important this is, and force myself to do it if I have to. Home: Turn my newly designated workspace into a Christmas wrapping station. I want to wrap one gift at a time and really focus on designing the packaging, so I need to start now so I won’t feel so rushed. I have really focused on slowing down and doing everything one step at a time, and it has been the best thing for me.